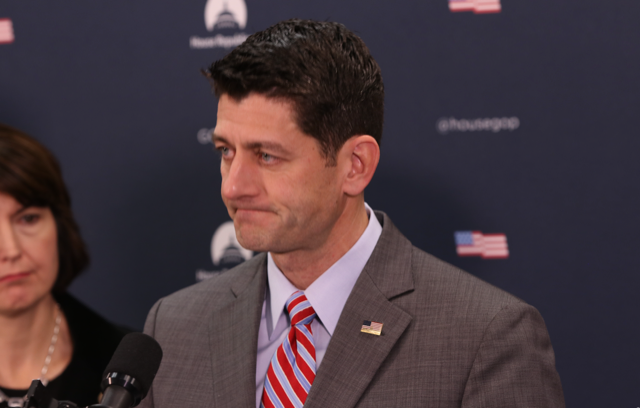 WASHINGTON — House Speaker Paul Ryan said Thursday that President Donald Trump’s new tariffs are not the answer to global trade issues and risk America’s leadership role in global trade. “New tariffs are not the solution,” Ryan said during a speech to the Economic Club of Washington. “Just as our standing was threatened as countries around the world made their tax codes more competitive, we similarly risk being left behind in global trade if we don’t lead here, as well,” he said. In an escalating trade war with China, the Trump administration earlier this week announced plans for an additional $200 billion in tariffs on Chinese goods and threatened more if China retaliates. The Republican from Wisconsin said it’s important to pursue trade agreements as a way of opening new markets for US products and services. “The final Trans-Pacific Partnership agreement was flawed, to be sure, but its broader intent was correct,” he told the audience of nearly 400 people. Trump withdrew the U.S. from the trade deal among Pacific Rim countries, excluding China, after he took office in January 2017. If the US doesn’t adapt to global trade deals, it risks losing jobs, access to markets and a decline in its overall influence, Ryan said. “The world is moving ahead,” he said. Ryan said the Trump administration’s preference for bilateral trade deals instead of multinational ones like TPP is reasonable as long as reaching those agreements is a priority. He also touted the strong American economy and partially attributed that strength to the Republican-led tax cuts. In late 2017, Trump signed the tax bill that lowered the corporate federal tax rate to 21 percent from 35 percent. Still, Ryan voiced concern about protectionist policies that are popping up around the world and the impact these could have on American businesses and workers. Following his speech, Ryan was interviewed by David Rubenstein, co-founder and co-executive chairman of private equity giant The Carlyle Group, and he asked whether Ryan had any regrets about his decision not to seek re-election after the current term.